Toyism art book about the Uppspretta project in Iceland. Full Color, 120 pages, paperback. In Dutch, Icelandic and English. 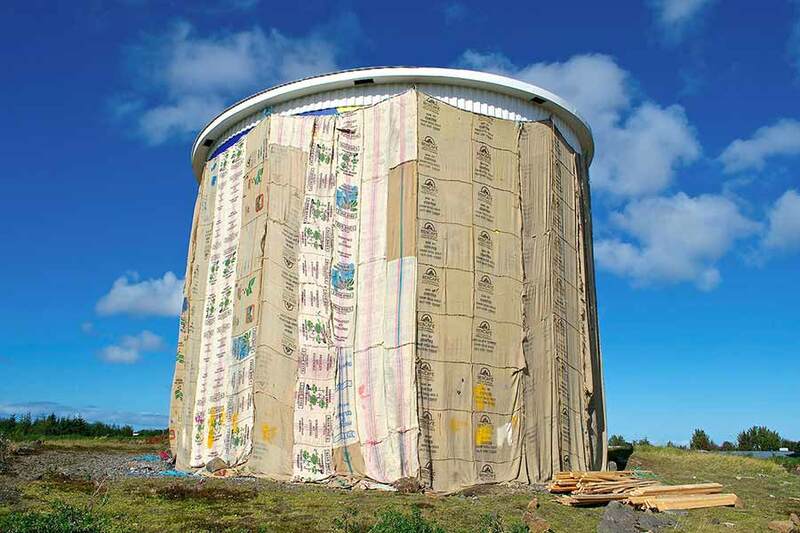 In the summer of 2013 a 9 meter high old water tank in Keflavik, Iceland , was painted by the Toyists with the theme ‘Uppspretta’. This word means a source of splashing energy. Eleven Toyists worked about 7 weeks in appalling conditions. It was cold , it was raining a lot and also the strong wind provided the necessary damage to the canvas roof that was installed around the tank. 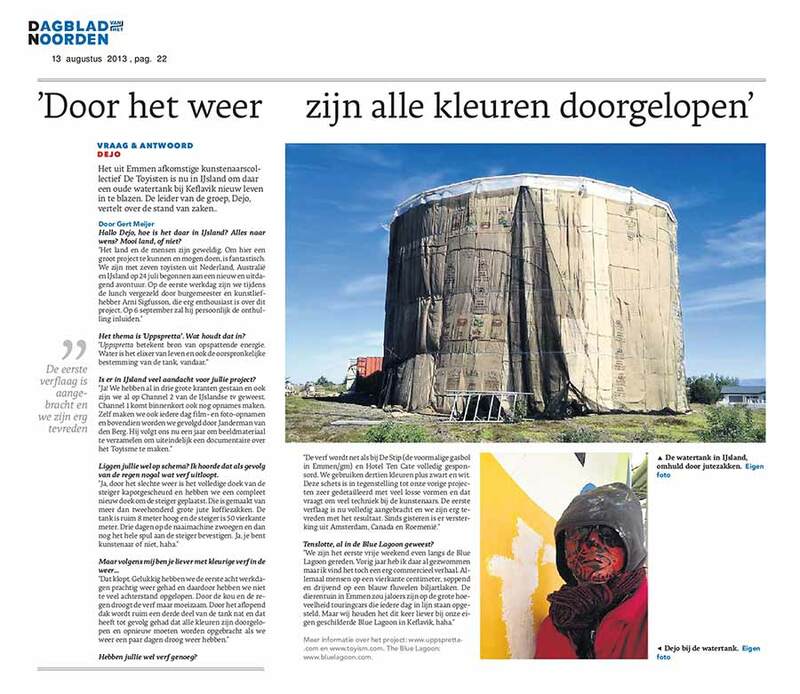 The working days were long days, but finally the painted water tank was unveiled with great interest on September, 6th . The people of Keflavik reacted very positive and heartening . Also the mayor of Keflavik gave his appreciation during his speech and told with pride that “his” work of art will be a major public attraction in the future. 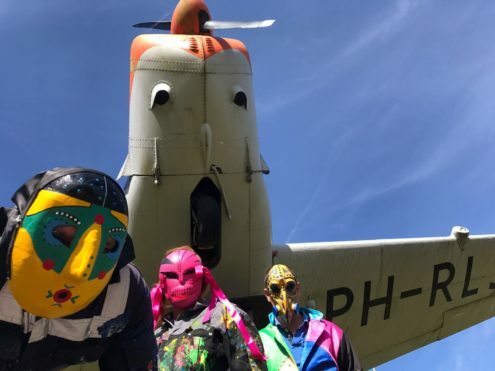 A lot can be said about toyism and a lot more can be shown. For that reason toyism is now covered in several books, of which two books are written by art critic Wim van der Beek. Also lot of toyism artworks are shown in the books, together with full colour photos that give an excellent impression of their large projects. In addition the books also feature stories and anecdotes about the toyists, giving the reader an exclusive look into their secretive and anonymous world.